The High Court of Kerala has declared that no gender-based restrictions can be imposed in the annual trek permitted by Forest Department to Agastyaroodam peak in Thiruvananthapuram district. 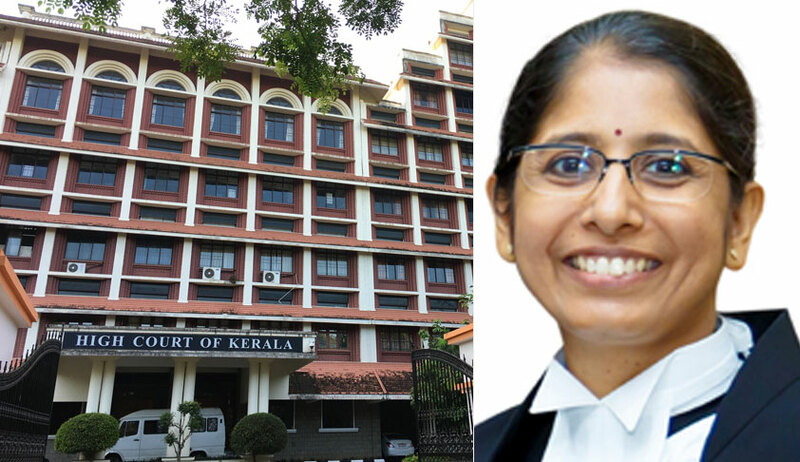 "In case permission is being granted for trekking in the year 2019, it is made clear that restrictions shall not be imposed only on the ground of the gender of the trekker", observed Justice Anu Sivaraman, while disposing of two petitions in relation to Agastyarkoodam. Every year, the Forest Department permits a limited supervised trek to this peak for registered persons. Though the guidelines of the Department specifically permitted physically fit women above the age of 14 years to participate in the annual trek, there was opposition from some quarters to women entry. The members of Kani tribe claimed that they have been traditionally worshipping the idol of Agastya Muni in the hill and that it was customary for women to not go near the idol. According to them, permitting women to go beyond Athiramala in Agastyarkoodam will interfere with their traditional rights of worship. So, they challenged the guidelines of the Department to the extent they permitted women entry. The petitions by Kani tribe and the women organizations were jointly considered. Initially, the Court passed an interim order interdicting the entry of women beyond Athiramala. The Government stated that no one had any vested right to trek to Agastyarkoodam, which was a reserve forest and a UNESCO heritage site owing to its ecological diversity. It was further stated that members of Kani tribe had no customary right of worship in the area, especially in view of the fact that there was no temple there. The attention of the Single Bench was invited to a judgment of the Division Bench, which had refused to recognize the tribe's right to worship and carry out rituals in the area. The Division Bench found that the claim was of a recent origin. "Any permission to conduct such activities in the restricted area would ruin the ecology and the biodiversity that are required to be preserved at any cost. It would also give a handle to the 3rd respondent to commercially exploit the idol that is there", the Division Bench had observed. Following the Division Bench's findings, the Single Judge held that no one should be permitted to conduct any religious rituals in the area and to carry materials for worship. "I am of the opinion that if the trek is being held this year, the trekkers, both male and female should not be permitted in the immediate vicinity of the idol or to offer any religious prayers or to carry any items of worship to the Agasthiyarkoodam"
The Single Judge also held that so long as the trek is permitted, it should be carried out in a gender-neutral fashion and that prohibition to visit place of idol and offer worship will apply equally to both men and women. "It will be open to the respondents to permit trekking of groups of persons, who are physically and mentally fit to undertake a trek to the Agasthiyarkoodam on the specific understanding that no trekker will be permitted access to the area where the idol is situated or to offer any worship. Further restrictions as are necessary shall also imposed by the respondents without restricting the rights of the women to participate in the trek", concluded Justice Anu Sivaraman.